What’s next? This is what my quest for owning new technology vehicles has been constantly asking me, since last two year of driving premium hatchback Maruti Swift. It is something new and unique that I want to drive now after spending a quarter of my age in driving old age small and medium size vehicles. When I came to know in January that Indian unit of the US based leading car maker Ford is planning to launch an all new EcoSport SUV (sports utility vehicle) in the country, I knew that I have found what I have been looking for all these years. Can u believe that the peak power deliver by the Ford EcoSports’ 1.0L EcoBoost engine comparable to the power generation by a 1.6L petrol engine. Yes, the small EcoSports’ 1.0L EcoBoost engine of Ford EcoSport delivers a peak power of 118 bhp and maximum torque of 170 nm. There will also be a 1.5 litre (90 bhp) diesel option on offer which will be borrowed from the Ford Fiesta sedan. 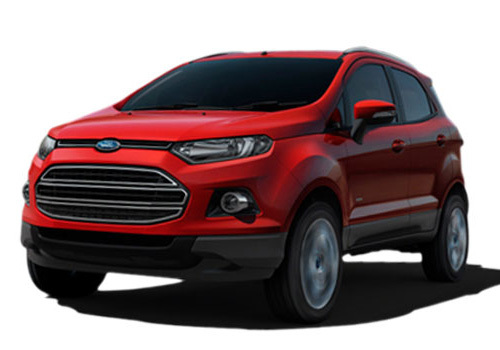 The launch of EcoSport SUV will definitely prove a milestone in the company’s India operations, as the vehicle is expected to surpass the success achieved by its hatchback segment sibling Ford Figo. Although, the Indian auto giant Maruti Suzuki is also planning to launch a new MUV – Ertiga in the same segment, but with the same conventional engine technologies including Suzuki’s 1.4 k series petrol engine and Fiat sourced 1.3L multijet diesel engine, which is already available in my Maruti Swift. Besides an innovative engine, there will also be a number of features to look forward to in the EcoSport model including peeled-back head lights, bigger front bumpers, stylish interior and many more. The SUV is expected to be launched in the country in June 2011, in the price segment of Rs 7 to 9 lakh.